Let’s Get to Know … Nicole Hengels Gainacopulos! Thanks to encouragement from her dad, Nicole Hengels Gianacopulos started running at a young age. These days, she’s the one encouraging runners – beginners, those in the hunt for a BQ, and everyone in between. 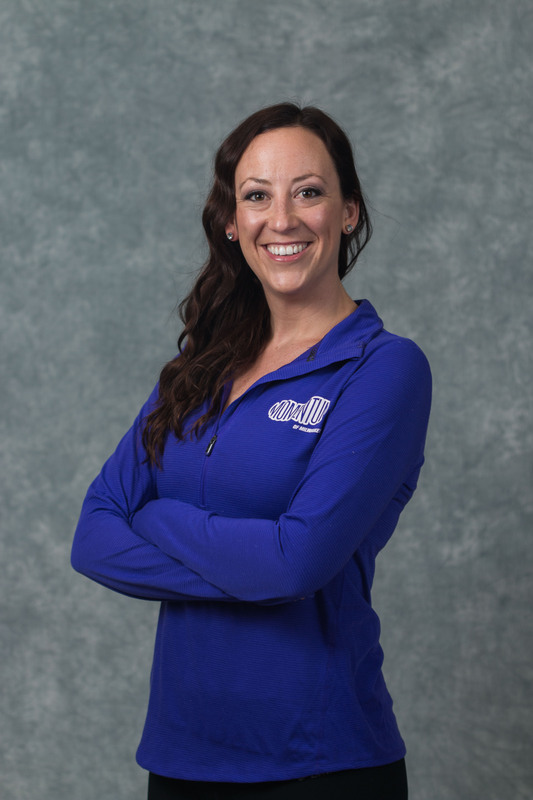 Many of you know her as Coach Nicole – she’s the owner of Momentum of Milwaukee and also manages all of Performance Running Outfitters training programs. 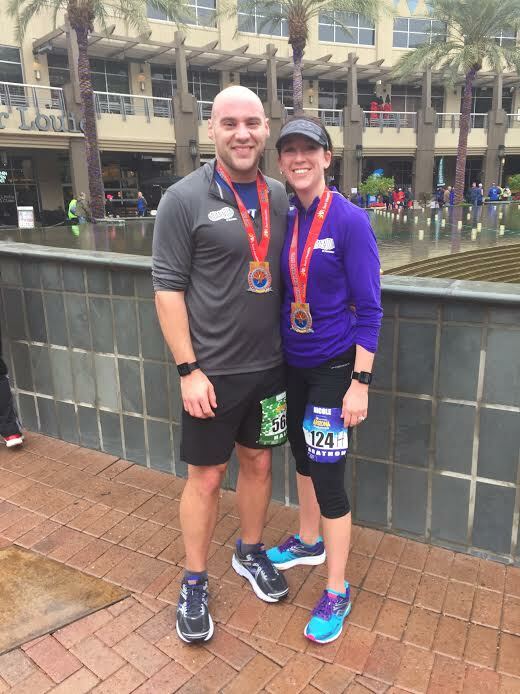 Today, she shares with us a bit about her own running as well as what it’s like to coach everyone from high schoolers to weekend warriors to marathon winners. Favorite workout: 400m repeats. I could seriously do them every week and be thrilled. My second favorite workout is hill repeats varieties and my favorite right now is at a steep hill after a warm up: 90 seconds AFAP up, rest down, 60 seconds AFAP up, rest down, 30 seconds AFAP up, rest down. Repeat this 3 times! Favorite gear: Saucony shoes (Ride, Kinvara, or Freedom), SmartWool socks, Any apparel at PRO! Pre-race routine: Usually a 1 Mile warmup (depending on the race) + 3-4 strides. I try to teach my runners to do dynamic warm ups but for me I usually prefer to not do them on race day. Favorite post-race treat: Cookies. Always cookies. Favorite distance to race: I haven’t raced a marathon since 2014, but I’m looking forward to getting back to them in 2017 (first one is Grandma’s Marathon in June!). 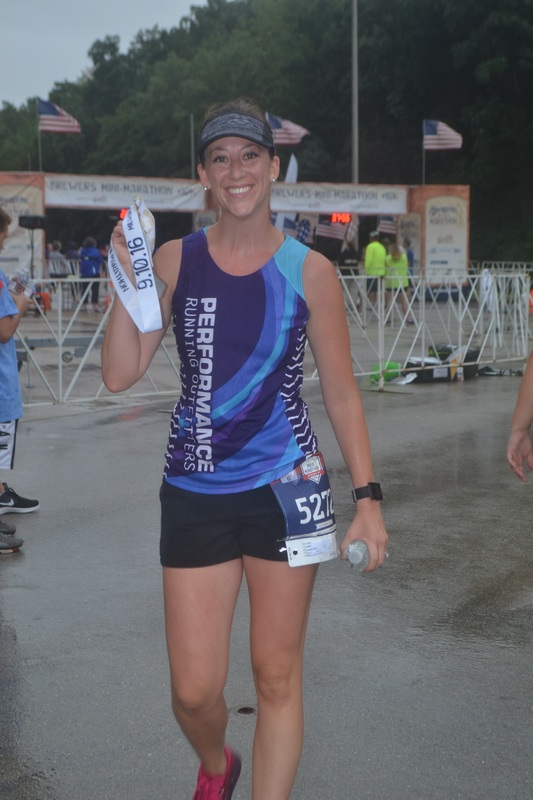 The past couple of years I have really enjoyed racing half marathons and I paced a few as well either as an official pacer or pacing clients. My older sister, Laura, was in high school cross country, so over the summer my dad and I would run with her to help prepare her for the upcoming season. I HATED it. One time my dad needed some repairs on his car so we drove it to the repair shop and ran home (about 5 miles). I remember hating every second of it until we got home and I felt amazing. From there, my dad and I continued to run each weekend and I eventually learned to hate it less, which turned into a love for the run and time with my dad. I had a fantastic high school coach and team, which truly blossomed my love for running. Anytime I am grumpy, upset, confused, or way too energetic, I get out the door. I’ve made some of the best decisions while running, such as starting Momentum of Milwaukee and marrying my husband! It also helps a person get away from technology, appreciate what is around us, see what our body/mind is capable of, and explore new neighborhoods. The days that I am having a hard time with motivation, I grab my dog’s leash, and there’s no turning back at that point. I also get motivation from my clients and they remind me why we run in the first place! My husband, Nikos. We got to know each other as friends though running, and I always look forward to runs with him even though he’s gotten so much faster (he started listening to my running advice…lol). Unfortunately, due to our schedules, we don’t get as much time to run together so I really value the runs and races we can do! If I had to pick someone famous, then no question, Paula Radcliffe. I have always idolized her and watched her races. Her book, “My Story So Far” is the first running book I read in high school and it led me to start believing that running was not just a workout, but a lifestyle. Right now, I’m at about 40-50 miles per week as I’m training for Grandma’s Marathon (my first marathon since 2014 and my 23rd marathon total). Usually about 20 of those miles each week are with the training programs that I coach at Performance Running Outfitters or with clients. The other miles are what I can squeeze in to my own actual running schedule. I run 5 days a week with 1 long run, 1 speed or tempo day, and the rest of the miles at an easy pace. I’m coming off of a broken toe (playing with the dog), so I’m trying to just make sure the runs all feel good. I typically do strength training 2 days a week and core 4 days per week. Tell us about your coaching business, Momentum of Milwaukee – what services do you offer and what types of clients do you accept? How is Momentum different from other coaching services in the area? I started Momentum in 2012 and focused on personal training. But I kept gravitating toward clients who were runners. I knew a lot about running, but I wanted to start programming training programs better. So I started completing running certifications and traveling to running camps for coaches to develop my skills better. Now I typically only take on runners or people who are interested in getting started in running. I currently coach runners who have literally never run to the mailbox and want to complete 1 mile to runners who are winning marathons and focused on BQ times. How is my coaching different? I offer monthly online coaching for $75 per month as well as in-person services. I custom design each runner’s program to fit their needs and what is needed to hit their goals (that I help them establish). I also help them fit training in to what realistically works into their life. I know when to be the push my runners need vs. when they are pushing themselves too hard and I need to be the voice of reason. We’ve heard you also coach at Dominican High School – how did you get started with the team and what has been your experience coaching high schoolers? I re-started the track team at Dominican HS (after they had a couple years without a team) on the agreement that I could start a cross country team the following fall. While I like track, I LOVE cross country. I no longer coach track but their program continues to grow and the athletes flourish. Our cross country program is picking up, and while our team is young, they have amazing heart and dedication. Dominican’s cross country and track programs are drastically different than the HS program I came from in Illinois. My HS team had almost 100 girls on the team, and my Dominican XC team is coed with about 15 members. It’s been an unforgettable experience watching my runners improve, mature as humans, and my ultimate goal is to allow them to see running as a lifelong sport. You also manage all of Performance Running Outfitters training groups – How did you get started and what’s your experience been like working with so many community runners? I LOVE working at PRO! I have been working there since 2014, initially at the Shorewood store doing the training programs for the 5k and 10k beginners. Since then, my role’s expanded to managing all of the training programs including: Half Marathons, 5k, 10k, Speed Class, and Strength Running. It is such a difference group coaching adult runners, who have real lives and struggle to fit running into their schedule but make such a dedication to it. It’s fantastic to see the transformation when a runner starts at the 5k class and can’t run a ½ mile and then the next season they are completing a half marathon! 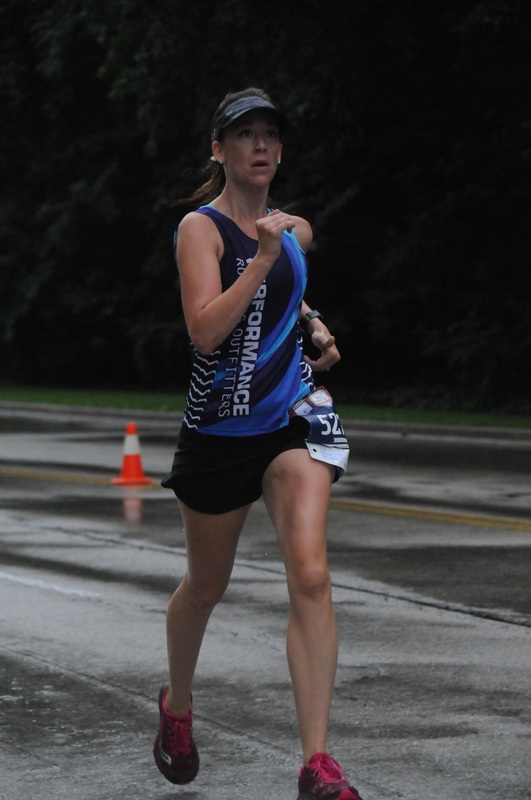 One of my favorite stories is one of the runners who sent me an email before starting the 5k program and said, “I’m old, I’ve never run before, and I’m terrified to do this class.” Well now she has run several half marathons and counts on running as her normal in her life. Being a part of the PRO family has been beyond anything I expected. It’s such an amazing experience at PRO and I’m so thankful to be there! My biggest goal is figuring out how to balance coaching and my own running. With running so many miles at other runners’ paces, I sometimes forget to focus on my own. Of course I’d still like to BQ, but that’s not at the top of my goal list as I’m just getting back into marathons again. I just want to love them again and not take two years off from being burnt out. My dad is trying to run 50 states, so when possible, I really like joining him (I only have 20 states; he has 40!). I love the Milwaukee Marathon (half marathon was my favorite) as I think it’s so amazing to bring so many different aspects of the city together (spectators, runners, stores, local businesses, etc.) and to get to run in areas I typically wouldn’t. 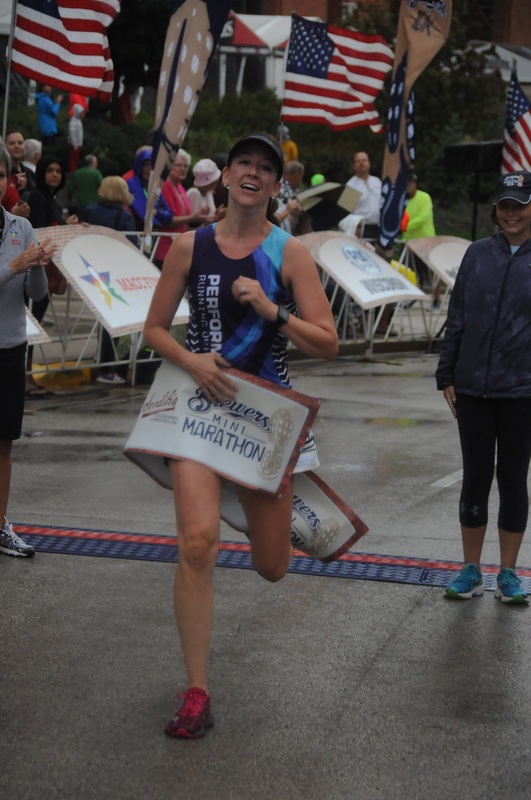 I also love Milwaukee Lakefront Marathon, as it’s a beautiful course; Rock ‘n Sole; and Brewers Mini Marathon. I also really love going to the super tiny races that not many people go to and just enjoy! Thanks so much for chatting with us, Nicole!